Very few fighter jets have managed to create the nearly cult following of the F-104 Starfighter. This manned missile was notoriously hard to fly and control. As such, creating an RC DTFB version was incredibly hard. And truly, I don't quite yet have a 100% working version. I've built 3 variants so far and I'm about to start on a 4th. I'm going to give some background on the three I have made so far and this way I"ll be able to show in real time this last one which I'm fairly certain will work. 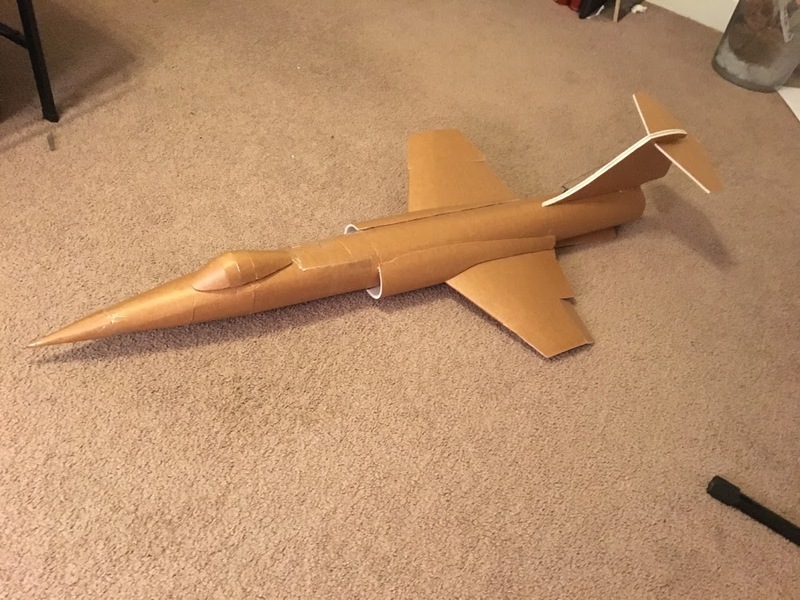 Additionally, plans will be posted once I get this 4th one to fly well. 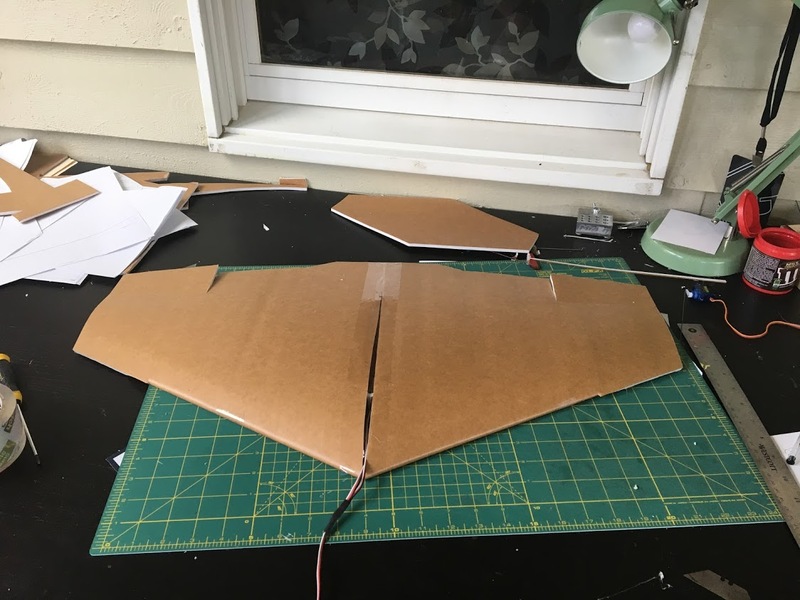 However, it needed to work better, so I increased the wingspan by 120% and tried again! Surprisingly, this variation didn't workout too well and I scrapped the project for a little while. However, I brought it back two weeks ago and decided to change up quite a bit. 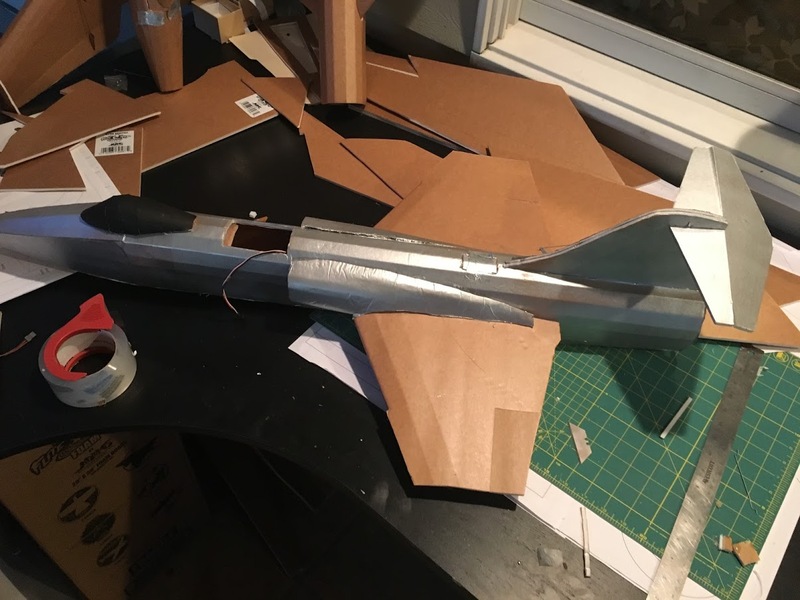 I increased the roundness of the fuselage, incorporating newer folding techniques. Additionally, I scaled the entire airplane up 120% of the original to a 24in wingspan and a 48 in length. Importantly, I brought the engine up to a 70mm EDF. This version actually worked quite well! The crash was caused by a lack of elevator control and this wasn't the first flight. It made several flights with a 1300mah 4S and a singular flight with a 2300mah 4S. The wingloading for the 2300mah battery was too high and the performance was poor. So for the 4th version of this plane, I have scaled it up even further. To a 30in wingspan and a 60in length. This should increase the handling by decreasing the wingloading and by increasing the area of the of the inlet, creating more thrust. 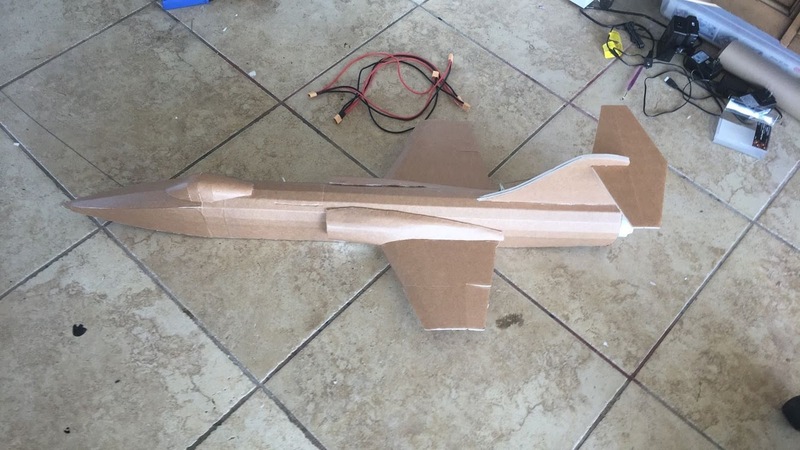 Lastly, I will be fitting a nozzle at the tail to decrease drag further. A big thanks to everyone who gave me such great feedback on my Facebook post. I have been lurking arround the forums a bit today and I noticed this, figured I would log back on and share this clip from the right stuff, the NF-104 was pretty good looking jet. Ok, back to the hiatus. I will be back with a new project, probably in may-june. Congratulation for the final sucsses of such challenge! Looking for the plan for the 24in and 32in wingspan both.